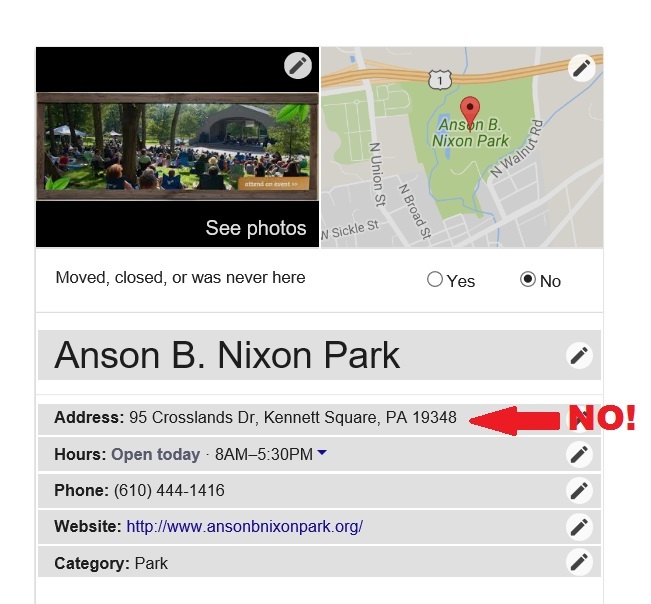 The address that comes up in google IS NOT CORRECT for Anson B. Nixon Park. You’d be surprised how often this happens. I get lost so you don’t have to 🙂 There ARE several entrances to this park, however 95 Crosslands Dr. is miles away from the park. What I’ve found is that the information that comes up on Google cannot always be trusted, as badly as you want to trust Google with your life, you just can’t. I’m sorry to be the bearer of bad news. 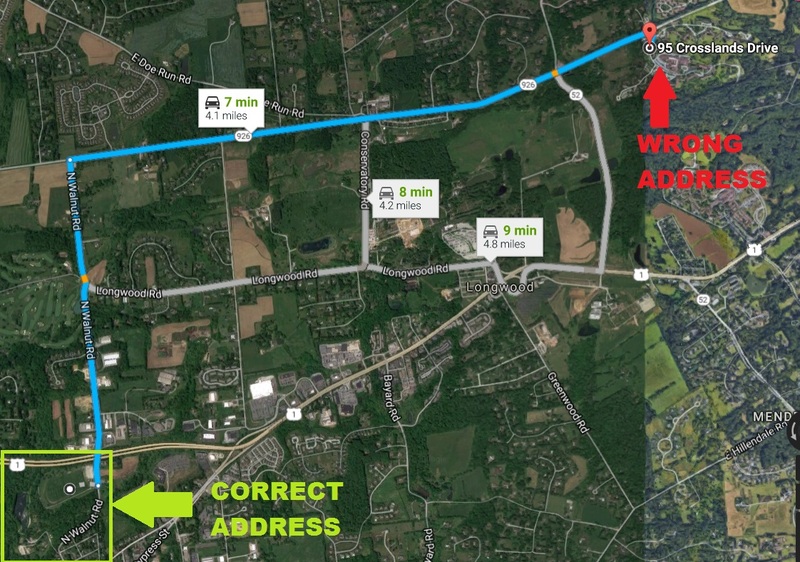 The CORRECT addresses are 413 N. Walnut St. Kennett Square, PA OR 100 Waterworks Dr. Kennett Square, PA. The latter is currently closed as they pave that road so if you go in the next few months, check out the park’s Facebook page to see if it’s back open. Anyways, now that you know how to get there I can tell you all about it! This park is the total package. Water. Trails. Playgrounds. All plural. 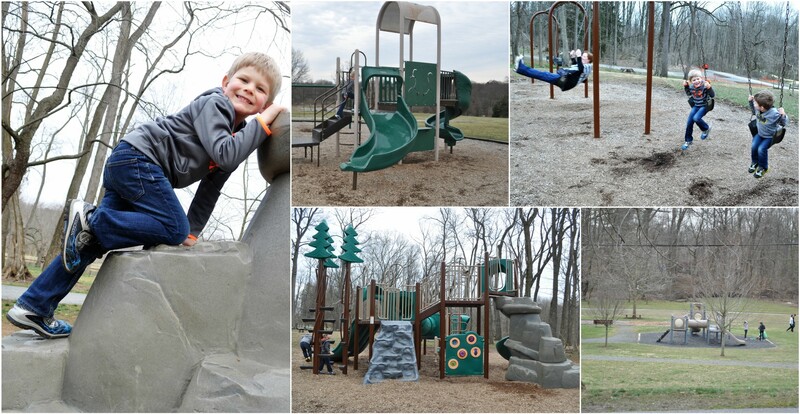 Athletic fields, disc golf, restrooms, picnic pavilions, and a community garden. A little hilly but very stroller friendly. We had to park at the soccer fields since the main entrance was closed. There was a small playground, pavilion and porta potties there. We headed toward the lakes from there and were greeted by ducks and geese that were quite used to being fed. They made a beeline for us as we approached, although I had a brain fart and left our cracked corn in the car so we didn’t have anything to give them unfortunately. One mallard couple in particular, was a bit overly friendly. At first it was cute, then it was annoying. They started off following us like little puppies happily quacking. The boys got hungry so they got themselves a snack and that’s when things turned ugly. Mrs. Duck tried to help herselfto O’s snack and pecked his finger which scared him into tears. In order to justify O’s trauma, Nana and I tried to explain why she might have been so hungry and concluded that she must be a Mommy duck growing eggs in her belly. D recalled his time as a fetus saying I had toeat lots and lots of food while he was growing before he “popped” out of my belly. So… I think that means he got it and forgave Mama duck for her bad manners? Ha ha. O wasn’t so easily persuaded into forgiveness. Either way, we decided it was time to move on from the ponds. The main playground area was up next. We had the place to ourselves and the boys loved climbing and swinging and even found a dirt pile to play on. A dirty kid is a happy kid, and we had extra clothes in the car so it was all good when they came off of it with dirty pants. Next to the playground is a restroom that was open (often they are locked in the off season) which was a great bonus. After the playground we checked out some of the trails through the woods and over the creek. We wound our way around the back side of the ponds to make a loop and as we were about to come out to where we started, guess who showed up? Mr. and Mrs. Mallard. Again. They came waddling down the hill but this time weren’t greeted by smiles and baby talk from the boys. We just went on our way and they took the hint. We got some great exercise in while walking this park and the Kennett area is just gorgeous. Great little town, beautiful back roads and of course, mushrooms. 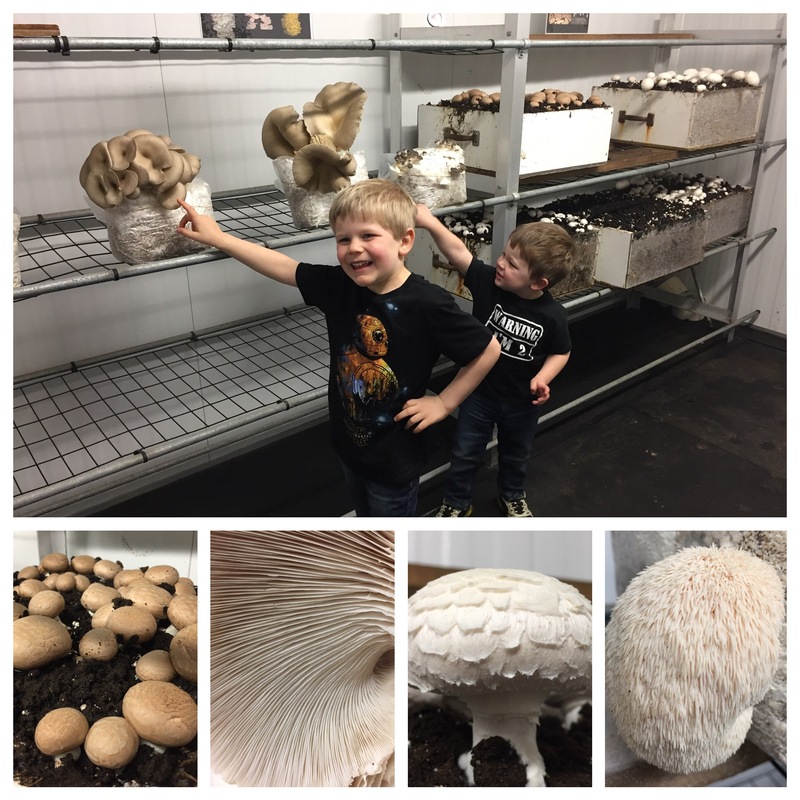 Our visit to Anson B. Nixon Park was a big win in my book and we had a bonus adventure on the way home… a mushroom farm! I have a love/hate relationship with the fungus amongus. I think that they are some of the coolest organisms. I am obsessed with finding them on our adventures, but I don’t eat them. I think the texture is slimy and disgusting, AND many of them are grown in poop. That doesn’t mean I don’t find a mushroom farm to be fascinating though and the boys’ Nana loves her some mushrooms so we kept our eye out and stopped at the first place that looked open on our way home, Phillips Mushroom Farm. As it turns out they have a little “Mushroom Museum” on site where you can see how they grow them so we popped in for a look and really enjoyed it.